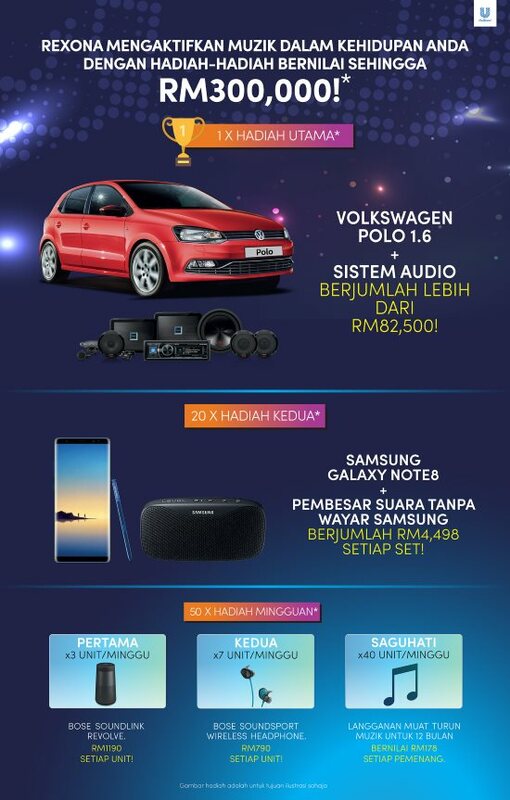 Home » car » purchase » qna » Samsung » Samsung GALAXY Note » smartphone » sms » spend » WhatsApp » Rexona Freshmoves 2018 Contest: Win Volkswagen Polo, Samsung Galaxy Note 8 & prizes worth up to RM300,000! 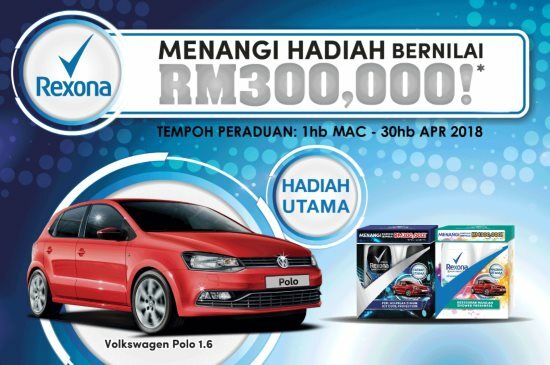 Rexona Freshmoves 2018 Contest: Win Volkswagen Polo, Samsung Galaxy Note 8 & prizes worth up to RM300,000! Purchase a Rexona Contest Twin Pack in a single receipt from any retail outlet or ecommerce site in Malaysia and retain the original receipt. Find the Unique Code that is inside the Rexona Contest Twin Pack. Answer the following question by replying "True" or "False"
Does Rexona aim to keep you fresh all day? Visit Rexona Freshmoves 2018 contest page for more details.